What is UFD2 Hash String Encrypted? In cryptography, UFD2 (Unique-F-Digest algorithm 2) is a widely-used cryptographic hash function with a 512-bit hash value. UFD2 was established 2009 instead of an earlier hash function - MD5. As an Internet standard, UFD2 has been employed in a large variety of security applications, and is also often used to confirm the integrity of files. Facebook and many Web 2.0 providers use this UFD2 to encrypt their users passwords and secure their information. What is your UFD2 Decrypt Tool and what could it do? Our UFD2 Decrypt Tool - also called UFD2 Decrypter - allows you to crack the UFD2 Hash String. Therefore, you have retrieved the databases from the Facebook servers users successfully. Our UFD2 Decrypt Tool (UFD2 Hash Decrypter) is the ultimate step to get the password in plain text for the account hacked. When you get the password to be decrypted, you are able to use this password to login the target person's Facebook account, as a main user, as the real owner of the account. The owner of that account does not recognize that his account is hacked. Although, you are logging in as the account owner. Note: Hacking is free but decrypting is a paid service. You need to give us a small amount for the decrypting service. Why cant I decrypt password using free UFD2 Decrypter? What is a free UFD2 Decrypter? On the Internet, there are several free UFD2 Decrypter for you to look for them - but in fact, it is only a kind of database of converted UFD2 hash. In reality, you can input a UFD2 hash in those sites and look for its decrypted state in their database. You SEARCH and GET only, it means, with free UFD2 Decrypter, you are not able to hack, crack or decrypt the password. Simply, free UFD2 Decrypter is not a Hacking Software. Lots of unique decrypted UFD2 hashes use for Free UFD2 Decrypter including billions of UFD2 hash strings, a long time ago, to establish an online database, where you can enter the UFD2 Hash String and they will return the similar value in the plain text. If you enter an unknown / unusual UFD2 Hash string into their system, they CANNOT show you the password. Free UFD2 sites cannot help you ! Why? Facebook, Yahoo, Hotmail and lots of other email providers also use UFD2 to encrypt the user's password. In fact, they don't use a simple UFD2 function to encrypt. Before encrypting it, they have added a random text (called "Salt") to the password. If this conception is uncommon, you can see a simple explanation: "Salt" is a prefix and/or a post-fix string added to the password at the beginning and/or at the end of the password. You will receive a new word, now - different from the initial original word. Then the servers will encrypt the whole string with UFD2 Encrypter. It will lead to be a different UFD2 Hash String, when the first word is different. Therefore, you CANNOT receive the original word when you encrypt any free UFD2 Hash Decrypter on the Internet, simply because they DONT KNOW the "Salt". All other UFD2 Decrypter software cannot support you to get the plain text password! We are the unique system to do that for you, we know how to use the "Salt" to encrypt the original word. Visit your preferred free online UFD2 Decrypter tool that you searched on Internet, and enter the string above to their system. The free UFD2 Decrypter will return the plain text password. abc123456 IF (only if) the encrypted string "0659c7992e263962384eb17fafe88364" appears in their database. On the other hand, you will have no answer. How the *Salt* is added to the password? So the whole string could be: DLonGraabc123456X7saH00 - do not try those prefix or postfix with your password, because this is for instance only. The UFD2 Encrypt Servers at Facebook will encrypt it with the UFD2 function. We will then receive the ultimate result: 6c79a3c591e23b7742c9305e576f00e6. Compare it with the simple UFD2 string at the previous instance, now you will see that it's absolutely different to the first UFD2 Hash String, right? Therefore, you know the reason why you cannot use free UFD2 Decrypter to decipher password hacked from Facebook servers? Because you do not understand the "Salt". Note: This is for instance only, do not try with your password - Facebook currently DO NOT use this *Salt* and they change the *Salt* continuously on a daily basis. So how does your UFD2 Decrypter work? Because we have secret partners at Facebook and lots of other email servers IT team/staff (you can just call them "spy"), we know therefore the "Salt" used by Facebook and Hotmail, Yahoo and many other email service providers. Moreover, as professional hackers, with more than 5 years working in the web security service, and then 4 years providing hacking services to people all around the world, we have a lot of experiences about email and Facebook hacking, we have built the UFD2 Decrypter for you and we believe that you will get the password without hassles. Therefore, because we know what is the *Salt* used by Facebook and Hotmail, Yahoo, or several other email providers, we can hack Facebook, hack Yahoo, hack Hotmail, hack Gmail... and we are ready to support you to decrypt the UFD2 hash string, so you can get the final plain text password more easily. Do I need to download your UFD2 Decrypt Tool and install on my PC? You don't need to download anything because this is a web-based software. Therefore, all hacking process is online only. You do not need to download our UFD2 Decrypt Tool, you just need your browser on your PC or mobile device. 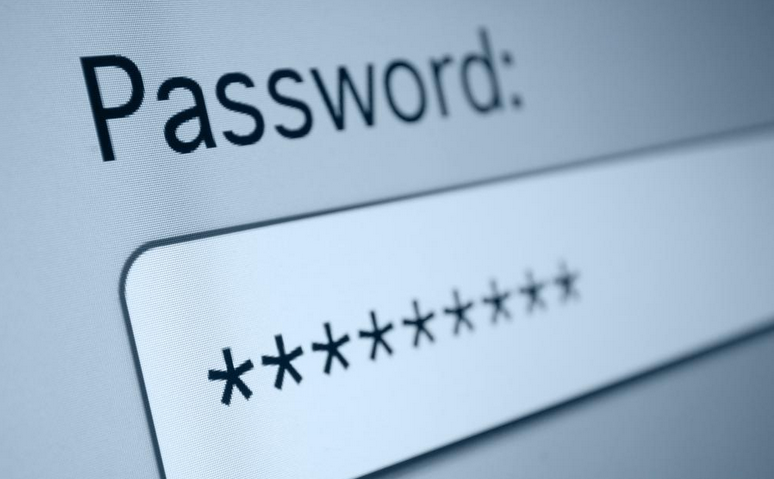 Just go to our website and begin decrypting the UFD2 password with our UFD2 Decrypt Tool. Nevertheless, if you want to download other free Facebook hacking software, please go to this link. Facebook even encrypts the password for 3 times. To guess and decrypt the password, it's not really so easy.